Dry Fly plans to increase its spirits production by 730 percent. The distillery today announced a new partnership with Seven Seas Export to expand its spirits production in order to serve new Pacific Rim markets, starting with South Korea. 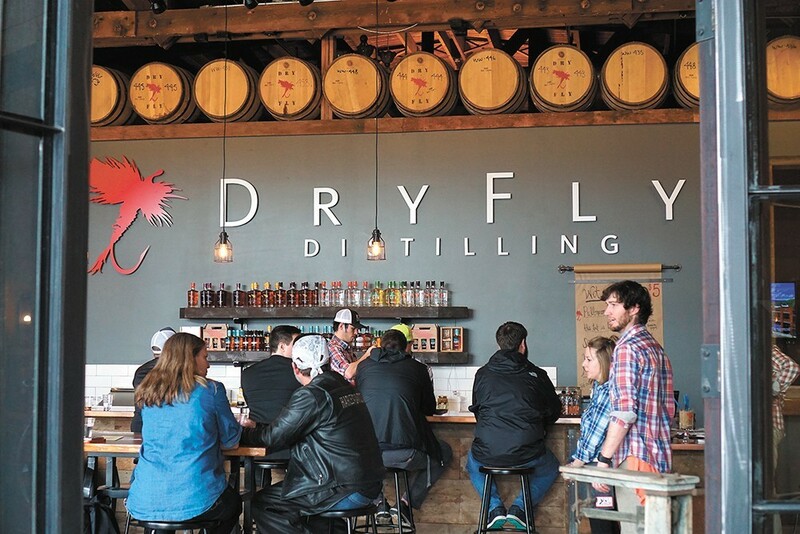 To meet this new demand, Dry Fly will increase production from its current 30,000 gallon annual maximum to 250,000 gallons each year and is opening a new distillery in central Spokane, just north of downtown. Dry Fly President Don Poffenroth says the new facility, part of a 5.2-acre mixed-use development at the former site of the city of Spokane's Fleet Services facility, is slated to open by the end of next year. Dry Fly's new peated whiskey. Other plans for the site, which was recently purchased by a Spokane-based investor group, include a large housing project, retail and office space. The project is currently called NoDo at Normandie. Dry Fly's new home there measures 24,000 square feet, and new equipment planned for installation will be able to produce 5,000 gallons each week. Poffenroth expects to hire between 15-20 new employees to work at the distillery. All grains and other raw materials in its spirits will continue to be sourced from within 30 miles of the distillery, he adds. "Our goal is to be manufacturing in that facility by the end of 2019, even if that's just one drop," he says. Dry Fly's expansion into South Korea through its new partnership with Seven Seas will begin with exports of its vodka, gin, wheat whiskey and bourbon. A long-term plan is to export Dry Fly's products around the Pacific Rim. Dry Fly was founded in 2007, becoming Washington state's first small distillery since Prohibition. Its distillery and tasting room is currently located in east Spokane, at 1003 E. Trent Ave. This weekend, the distillery is also releasing a small batch of its new Peated Wheat Whiskey, of which only 120 bottles are available. It's made using a 5 percent mix of smoked wheat, called peated wheat, with 95 percent Washington wheat. The 90-proof whiskey was aged for more than four-and-a-half years in oak barrels. Pick up a bottle at the tasting room this weekend; it's open on Nov. 23-24 from noon-8 pm.